The Book Design Review The Book Design Review: So What Does Katie Couric Have to Do With Great Book Design? So What Does Katie Couric Have to Do With Great Book Design? 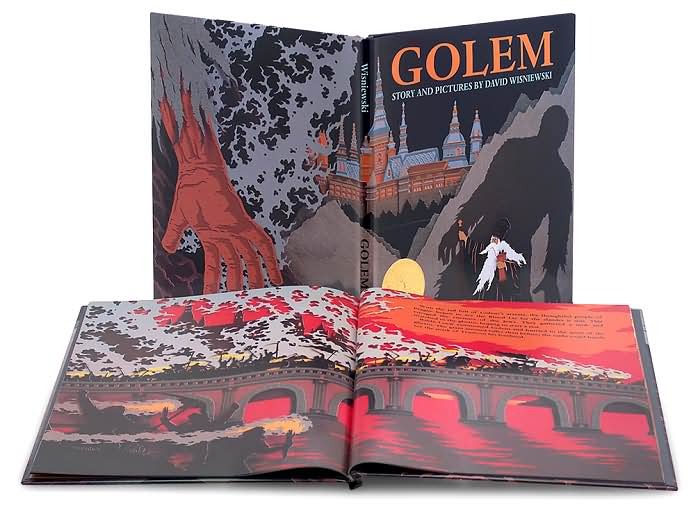 Golem won the Caldecott medal in 1997. It is an amazing book--the story is sad but beautiful--and it's the illustrations that blow me away. 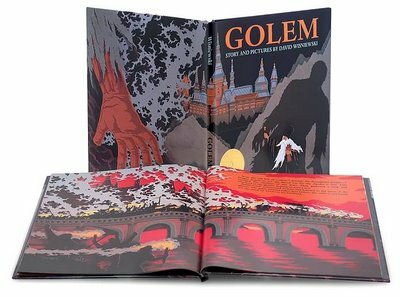 How cool is it to read, instead of "the illustrations for this book were created with Photoshop and Illustrator," that "the illusrations for this book were executed in Color-Aid, Coral and Bark cut papers." Those and an extremely sharp X-Acto knife, I'm sure. Couric* interviewed David Wisniewski shortly after the book was released. He brought in some of the original, unbound illustrations, and my jaw (along with Couric's) simply dropped. Sadly, Wisniewski passed away at the age of 49 in 2002. Buy this book--for yourself, your kids. You can see some of the illustrations here.